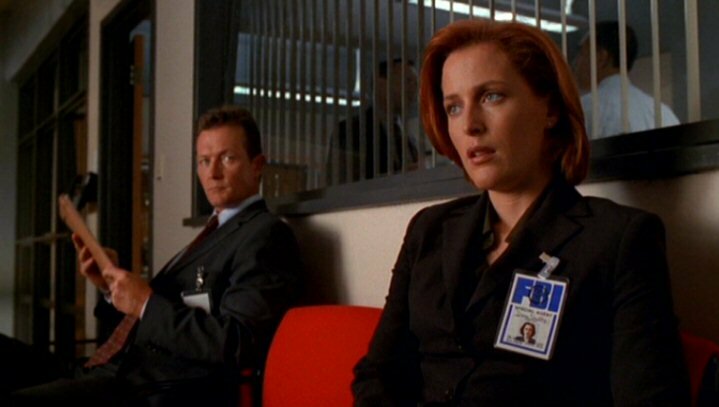 Gobbledygeek episode 339, “The X-Files: Season 8 (feat. Wesley Mead),” is available for listening or download right here and on iTunes here. This week, Wesley “Wezzo” Mead stops by for more abuse. He joins Paul and Arlo to once again discuss Chris Carter’s seminal sci-fi series The X-Files; this time, the gang talks season 8, the last pre-revival season to feature David Duchovny as a (semi-)regular. They discuss how frustrating it is the show can’t let go of Duchovny when it clearly needs to; why the introduction of Robert Patrick as John Doggett is so strong; how, despite some real stinkers, this is the most consistent the show has been in years; and how Carter & Co. continue to put Scully in boxes that conform to gender stereotypes. Plus, Wezzo has more obscure Netflix recommendations, Paul is obsessed with the forthcoming Spider-Man game for PS4, and–guess what–Arlo ropes Wezzo into discussing politics again. Next: this year’s Four-Color Flashback gets off to a belated start as Kenn Edwards drops by to discuss Batman: A Death in the Family. This entry was posted in Shameless Self-Promotion and tagged chris carter, david duchovny, fox, games, gillian anderson, gobbledygeek, itunes, libsyn, netflix, playstation 4, podcast, ps4, robert patrick, sci-fi, science fiction, spider-man, superhero, superheroes, television, the x-files, tv, video games, wesley mead. Bookmark the permalink.